Cornerstone Homes communities thrive long after their completion! 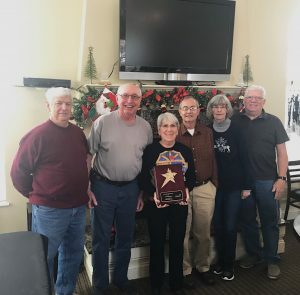 The Villas of Wake Forest, an Active Adult community developed and built by Cornerstone Homes, was recently named the best condominium community in North Carolina by the Community Associations Institute based on the finances, activities, leadership, professionalism, communications, teamwork, volunteer engagement, and commitment. Mayor Vivian Jones presented the award to the community at its annual meeting on November 4th. The Villas of Wake Forest consists of 144 condominium homes with 232 homeowners on the west side of Wake Forest. Clubs – Astrology Club, Bible Club, Craft/Quilting, Garden, Genealogy, and Charitable Clubs are just a few of the 23 clubs. This award is the icing on the cake for Roger Glover, Founder, and Owner of Cornerstone Homes. “ We don’t just build homes, we build communities. Our goal is to build a solid foundation of community spirit and committees for the homeowners when we transition from developer to homeowner-run HOA. 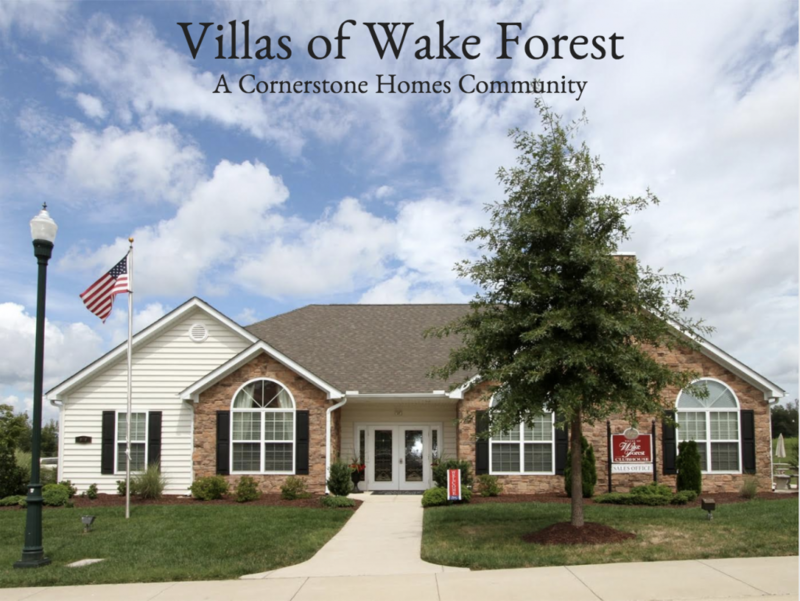 From day one we make sure the homeowners connect with each other through amenities with fun social and volunteer activities and work with them to establish strong committees to maintain the community.” Cornerstone Homes completed The Villas of Wake Forest in 2017. Wake Forest is a special place to Roger. He started this community right before the downturn in the economy. Even though there were years with very lean sales, Roger hung in there. Seeing it now completed and winning this award is a testament to his dedication and the dedication and teamwork of the staff of Cornerstone Homes. This dedication is also made evident by his commitment to the community long after its completion. Recently, Roger, in the spirit of good will, graciously agreed to fix several drainage and street issues at substantial cost savings to the community. This is what a Cornerstone Homes Lifestyle community is all about. Connecting with neighbors and enhancing your life and those around you.